Relaxation. Ahhh…This week my classes organically expressed a tone of relaxation. Just like everybody else this holiday season living and working in NYC, I’ve been quite busy. Granted, I love my work and love to teach, nonetheless, I’ve been quite busy, and that’s a good thing, especially in this economy. But as I go from class to class, I have to remind myself to relax. As my students live their lives, perhaps rushing to and from work, family, friends, school, and other commitments, I’ve made an intention to express that when they come to class, it doesn’t matter what you did before, and it doesn’t matter what you will do after. It’s about being in the present moment. Being in your Yoga. 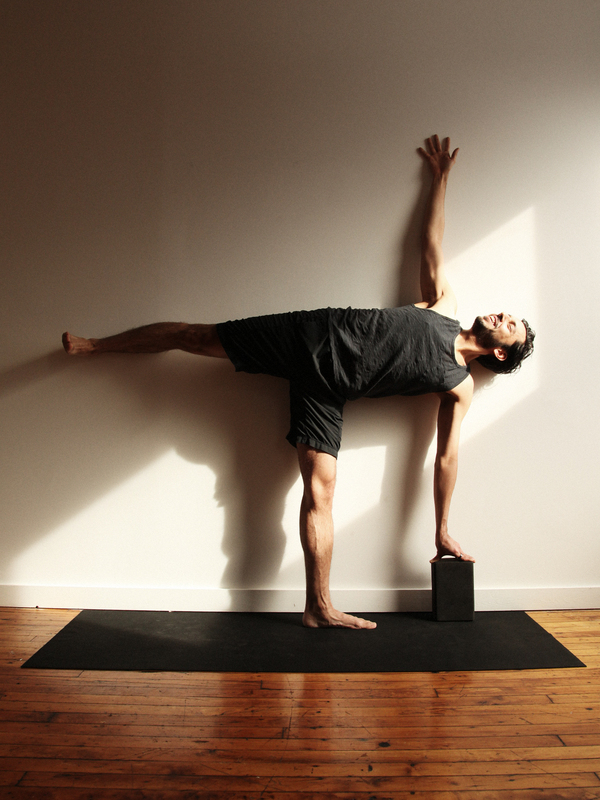 Being intimate with your Yoga. Right now. All that other stuff can wait, and will be there after. You can address it then. But for the next ninety minutes or so, it’s all about your body, mind, heart, breathing, and relaxation. What does relaxation mean? Relaxation means to do whatever you are doing in the easiest way possible. Relaxation means to let go of any unnecessary tension. The deep wholesome feeling state of relaxation is your birthright. A relaxed mind is a comfortably alert mind. In a tense body the mind loses its mirror-like quality, its sense of clarity and awareness. Relaxation involves a noticeable slowing down. Relax into the present moment as you move along your path, your Yoga. Along practicing and teaching Yoga, I’ve been studying and practicing Buddhism for the past ten years. My path of Buddhism is Zen. The main practice of Zen is zazen, seated meditation. I study and practice at the First Zen Institute. I’ve had relaxation on the brain for the past couple of months, and I experienced relaxation in zazen this past Wednesday like never before. I’m human, and I’m far from perfect, and as I was sitting in the zendo, meditation hall, my monkey brain was bouncing around like normal. Not out of the ordinary. But as my thoughts were swirling, I had moments of awareness and relaxation. Not out of the ordinary, as well. But what was out of the ordinary was how I experienced relaxation. My nose was relaxed! Odd. Funny. But true. The skin, cartilage, nostrils, and the hair inside my nose were all free of tension, and totally relaxed. Unexpected. It felt really good! So good that it made me smile. That intense feeling of the relaxation of my nose lasted for 10 seconds, but that was all I needed. Amazing. I can say now that my nose knows relaxation! All kidding aside, relaxation leads you to a deeper self. We all want relaxation. How relaxed are you willing to let yourself be? ← Yoga Sutra Quote of the Day. Chapter 1. Verse 35.